I was born on a February night in 1979, in a Romanian town called Craiova, and even though the first passion I developed was reading and everything related to books, I never would have thought about writing poetry if during my final year of high school an unfortunate event hadn’t given birth to my first creation – my philosophy teacher suffered a stroke and almost died because of it, and somehow this made the „Anonymous Will” to come out to life. Afterwords, writing poems became a necessity, and, since I couldn’t yet publish them in a book, I started publishing them on the Internet, on various poetry websites. I studied piano at the “Ciprian Porumbescu” Music University – Faculty of Musical Interpretation, in Bucharest, and strategies of economic negotiations at the “Gheorghe Cristea” University – Faculty of International Economic Relations, in the same city, but the only moment when I feel I can really communicate with the others around me is when I write and try to bring the words to life. Maybe because, in my opinion, the word, spoken or written, remains the ultimate method for human kind to express itself. A very good friend of mine taught me that I must find out “what do I have”, “what can I do” and “what do I know”, in order to find out “who I am” … and for the moment the only thing I am trying is to show the world the points of view that “I have” on different themes, in the best way “I know” and and also in the best way “I can”, hoping to mirror myself in my actions. And this blog is an example of that. Another example in that direction are the two books I published in 2011, “Sands And Shadows” in paperback and e-book versions, with many thanks to Red Lead Press – the publisher with which I worked on this, and “Footsteps On Sand – tanka collection” (which was first released in kindle version directly on Amazon, but which later I decided to also self-publish in paperback and e-book version on Lulu), the one published in 2012, “The Hidden Well“, released in kindle version on Amazon, in paperback on Lulu and in audio version on Soundcloud and the novel “Solo-Chess”, released for free reading as blog-book on http://solochess.wordpress.com, downloadable on http://www.scribd.com/doc/201432139/Solo-Chess and for those of you wanting a printed version there is also the possibility of acquiring it via Lulu, paying strictly for the printing and binding services provided by the specified company. About these four, and about the projects on which I am presently working, you can find out more details in the BOOKS page, right here on my blog. For the rest…not much to know actually – I’m currently a 35 years old interpreter – I used to say “translator” but in the meantime I decided that my life is more than just “translating” words for others – it’s about interpreting my own soul for you, dear reader, so lay back, read, learn and enjoy :). the face of luck, or getting any feel. deprived of any joy, as I was too. and all the dreams I wanted to be true. for saving me from what I had to stand. at hurrying my life until the end. Absolutely beautiful. Your poem and your life are amazing I am honored to see you here and hope that you realize how amazing you are. Smile…it doesn’t cost a thing! 🙂 thank you so much 🙂 when i began to write this blog i wasn’t so sure about what it was going to be like and if it was worth the time – but each day that passed showed me that nothing happens without a purpose, and that we should always look beyond what we see. and only then we can say we got a glance about what life is :). Hi Liliana – – I was so interested to read about your early life and some of the facts show me how well adapted you are to the world of word and especially poetry. All your warmth and enthusiasm for writing yourself into your verses is shown clearly in the profile I have been pleased to read here. I look forward to our continued friendship and will contact you soon. Best of wishes from Fay. The poem sums up a life well lived. It is beautiful. It’s true our interests and talents show during the most unexpected moments in life. I am glad you discovered it or else this world would have been deprived of a good poet. Good luck in your endeavors. I hope our friendship will continue on WordPress. Excellent blog. The very same for your poetry, Ma’am. I was born in Romania too, Brasov actually (but only by a nice coincidence), I live and breath the air of Bucharest. And in two weeks from now I’ll move to another country. My mind discovered poetry in september 2009 after a love deception. I started a blog, just a few days ago, at the request of a dear friend. Don’t know why I write in english, but it seems to be the finest way to express myself and relax. Happy to find another romanian soul out there, just so I don’t feel awkward (beeing new in all of this, I feel a bit strange and hope that it will pass). Have great day, and nice to meet you through your poetry. Liliana, your poem is stunningly beautiful. Congratulations on having a book published. That is a wonderful accomplishment that must feel grand. I’m honored to have met you and look forward to reading more of your work. Your spirit and your writing are beautiful Lilly!!! I admire both your work and your stunning personality! Keep up the great work my friend!! Reminding you to join jingle poetry potluck week 41 tonight. Always, your poetry is sunshine to us! hope to see you tonight…. Good to know you. I’m really enjoying your blog (format and content). Thanks for reaching out. thank you so much :). i’m glad to know you and to count you among my friends :). You appear to be well in control of your destiny which, I think, is all we can really hope for. Ditto, Michael (boobuloo)! Well done … both life and the post. Been some time since I visited, Liliana. Nice to know that you got the second collection published. Good job! Congratulations. thank you Jamie :). both for dropping by around here and for your wonderful words :). Liliana, what an interesting and romantic life you have led already, and still so young. Your first poem is absolutely incredible. I look forward to exploring more of your work. Your life is full and fascinating. Your words are beautiful. To possess the degree of empathy that you had at 18 is incredible. I am so pleased to meet you. I am pleased to meet you too … I loved the use of the word “fragrance” in your comment to me. Thank you. beautiful beautiful lines.they spin around and coil the reader in a web of warmth.kudos! thank you for dropping by :). you’re indeed welcome 🙂 and that’s how we, writers and poets, should actually be – one big happy family :). or at least we should try to be that way :). This is a lovely post, both sections of it: the prose and the poetry, which in truth belong together and are one. I hope to see much more of both. What a truly professional, elegant and complete poem! I love reading about people’s lives, and you give such an insight into a small part of yours. To write poetry of such quality at that age (I don’t know what age the final year of high school is for you) takes a natural talent. Mark of brilliance, absolutely adore you work..!! Lili, a wonderful story. One of the greatest blessing of blogging is the people we get to me and their stories. Our world has become so small. If only the powers that be could learn that. This is great; we always want to get to know our fellow poets! your poem at the end was simply beautiful!!!! Thank you for sharing with us. And thank you for visiting my blog. Yes, it was a child’s play and written for the Christmas program at our Church. A truly beautiful POEm. Congrats. Wish you good luck in all. thank you :). glad to see you around here – hope you’ll return. Love your story, and your writing is so direct and accessible, great blog too! Looking forward to reading more of you. Ai dreptate Liliana a talmaci si a traduce sant daca no total diferite, cel putin deosebite: e asa de greu sa intri in sufletul unui artist! 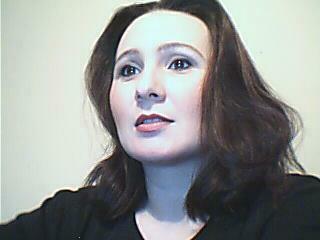 Good to see your website Liliana, and happy to subscribe: I enjoy a lot your poetry, and the way you share with us. I hope you’ll continue to have a great time at euzicasa. so sublime ! you are a born poetess ,Liliana !!! write ,write write !